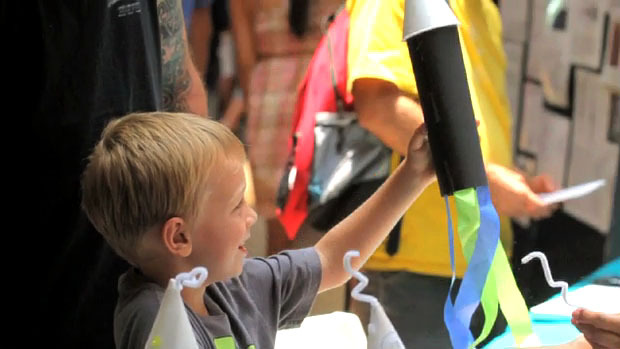 The AstroDay Festival was in full swing Saturday (May 5) at the Prince Kuhio Plaza in Hilo. UH-Hilo featured a real-life Angry Birds slingshot to launch a stuffed bird at a pig (no animals were harmed at the booth). 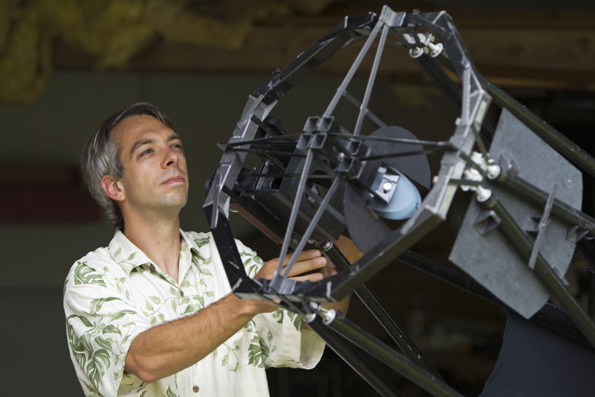 Jerry Nelson, an astronomer at the University of California, Santa Cruz, and designer of the revolutionary segmented-mirror Keck telescopes will share the $1 million Kavli Prize in Astrophysics with two other researchers for their innovations in the field of telescope design. The Thirty Meter Telescope cleared another hurdle late this week, when Gov. Linda Lingle accepted the final environmental statement for the $1 billion project. The community is invited to the Galileo Block Party Saturday October 24, where the Maunakea observatories will have family oriented activities, and booths to learn about astronomy. 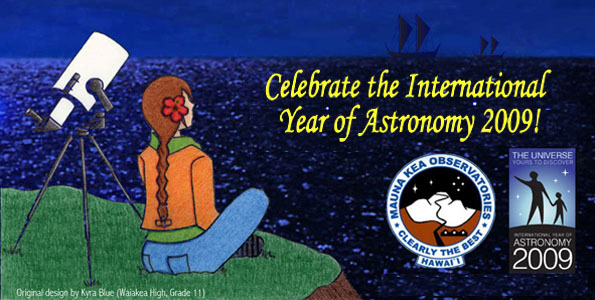 Hosted by Mauna Kea Observatories Outreach Committee and `Imiloa Astronomy Center. Complete your “passport” for free admission to `Imiloa in the afternoon.